The Supreme Court of Pennsylvania. ❝ Over the course of five months, the court held periodic hearings, which consisted of extensive expert testimony from as far away as England. 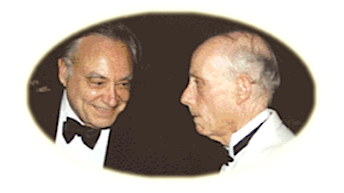 At issue was the most recent time-trend study of Dr. Burk and Dr. Yiamouyiannis, which compared cancer mortality in ten cities which fluoridated their water systems with ten cities which did not fluoridate over a period of twenty-eight years from 1940 to 1968.
that fluoridation is a very dangerous practice. ❝ It has been years now since the case involving fluoridation was before me as a trial judge, but since that time nothing I have seen changes my view of the serious hazards occasioned by public fluoridation. To the contrary, what I have read convinces me all the more that in-depth, serious, scientific effort should be undertaken before further expanding a questionable practice. Those who belittle critics of fluoridation do the public a mis-service, yet it seems in the face of strong, uncontradicted prima facie evidence, that is the tactic most often employed. More recently, some people have pointed out that Judge Flaherty’s decision was overturned on appeal and they assumed that therefore fluoridation wasn’t really proved to be harmful. 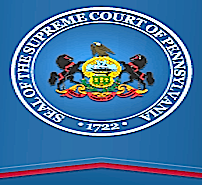 Now a member of the Pennsylvania Supreme Court, Justice Flaherty clarified that his decision to end fluoridation was overturned only on the grounds that his court did not have jurisdiction to decide the issue. from 1978 to 2001 and Chief Justice of the Court from 1996 to 2001. He retired at the end of 2001. In November 1994 the Victorian Parliament passed an amendment to the Fluoridation Act by changing the Constitution to stop the Supreme Court from hearing cases against Artificial Fluoridation. If you are poisoned by fluoride in Victoria tough luck, there is no protection under law. The Tasmanian Government in 1995 passed a Bill through the Lower House to prohibit the holding of meetings on the subject of Flouridation anywhere at all in Tasmania. Called the Consequential Amendments Bill it was later withdrawn but is being re-worded. Outside of Tasmania, no outcry, no boycotts, why? A draconian law was enacted in NSW in 1989. Because of this law, a Council cannot cease Fluoridation of its own water supply, after requests by public demand, unless it gets permission from the Health Department. And there is little chance of that. Australia is a signatory to the International Covenant on Civil and Political Rights (1966). This U.N. law states that ‘no one shall be subjected without his consent to medical or scientific experimentation.’ The Health Dept. cannot produce one double blind scientific study which proves absolutely the safety and efficacy of fluoridation. It seems we are all experimental subjects. If fluoridation is so safe or effective, why this repressive legislation ? Why don’t we hear about it in the media?